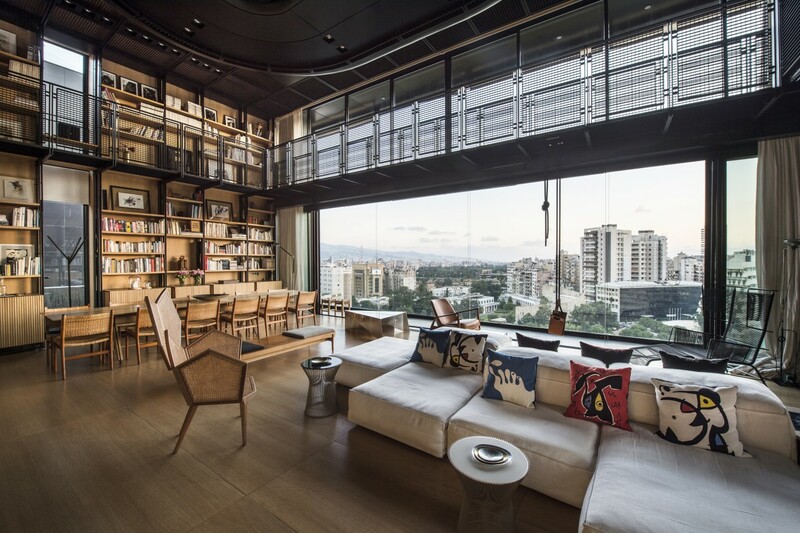 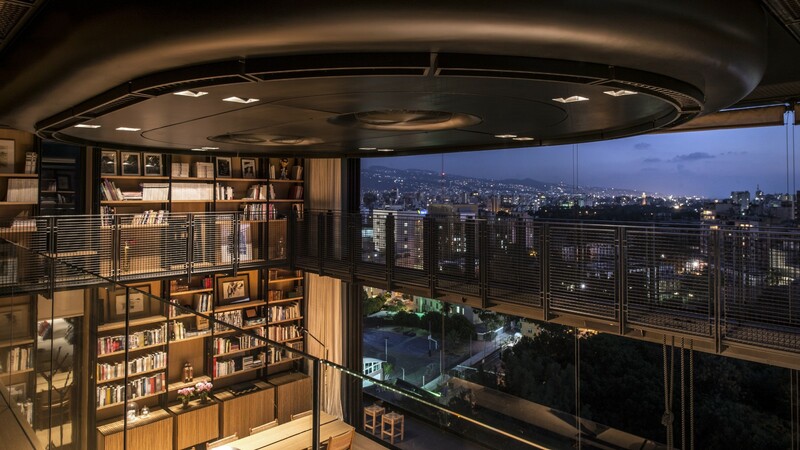 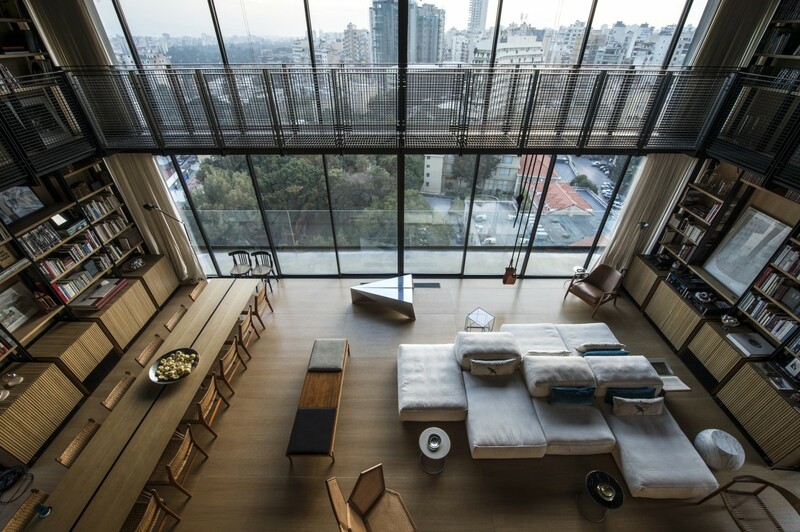 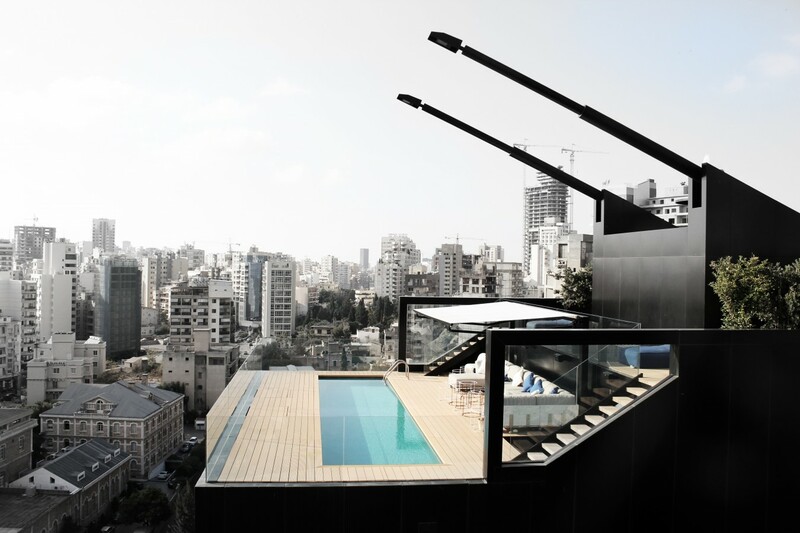 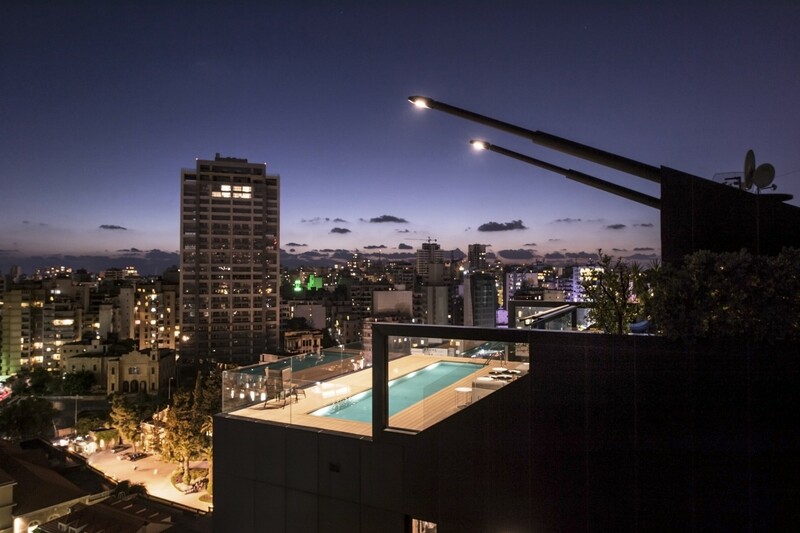 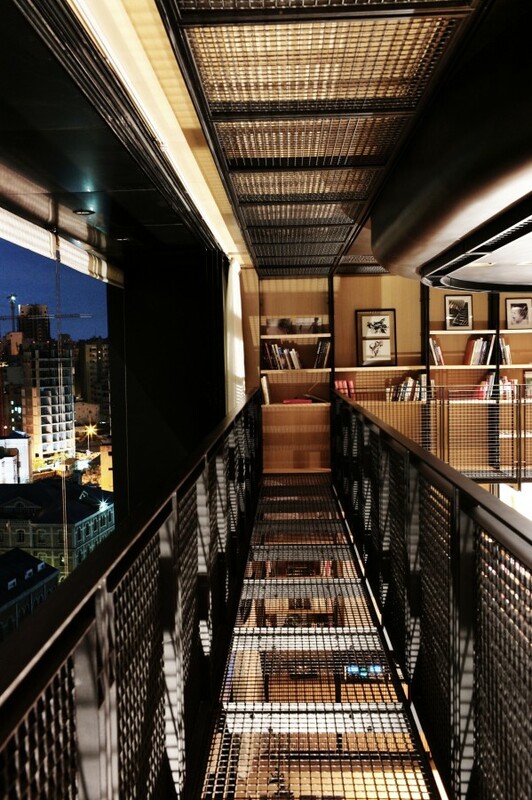 This Bernard Khoury-designed masterpiece in Beirut gives elevated design a whole new meaning: amidst a city filled with mid-rise buildings, a modern industrialist rooftop residence will definitely catch your eye. 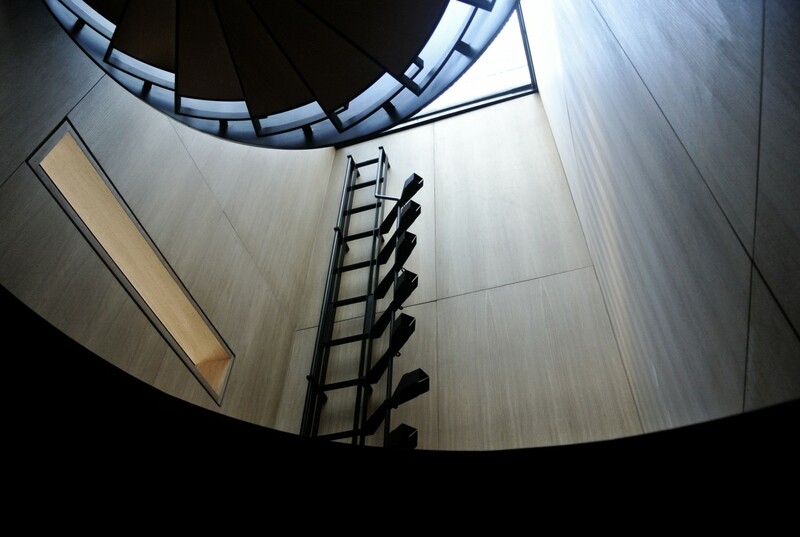 The N.B.K. 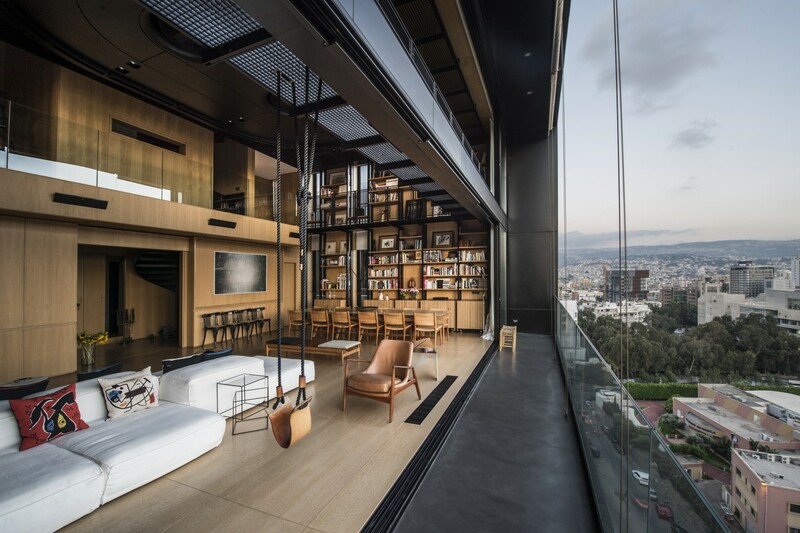 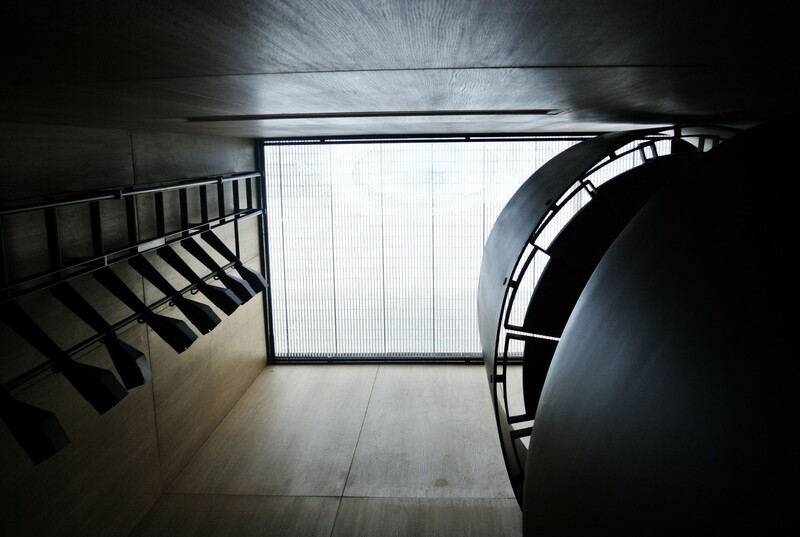 Residence 2 is less a connected penthouse, and more of an independent home that happens to be perched atop a building — it almost appears detached, floating above the rest of the structure. 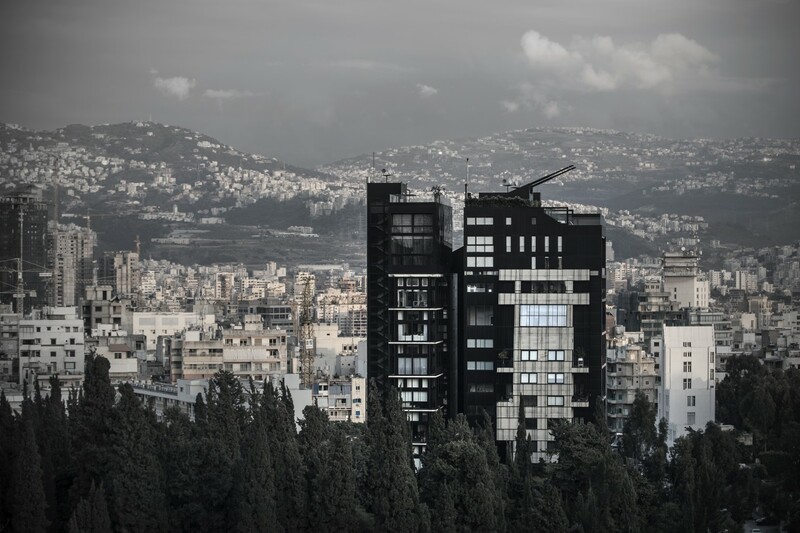 Adjacent to the home is the infamous Green Line (a former demarcation border that separated Beirut), but it symbolically opens up into neutral space — neither east nor west — with its signature alien antennae-lights pointing south, rallying the city’s progressive growth of design and engineering. 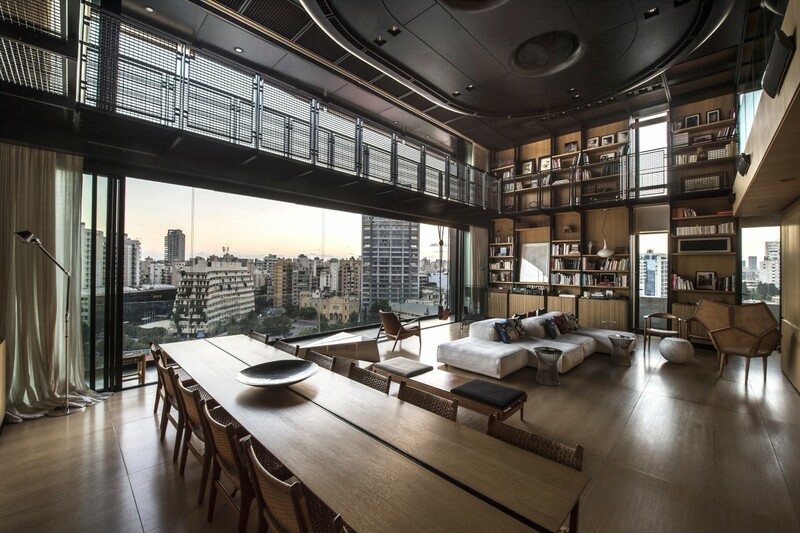 Expansive and unobstructed, the main living area makes a powerful impression through the mixed usage of wood cladding and black steelwork. 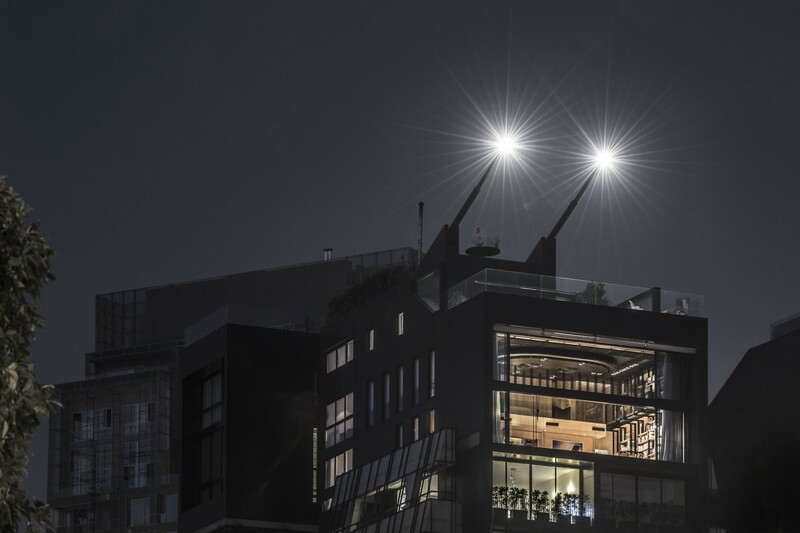 In addition to a stunning private rooftop pool, the three levels of space include a kitchen and dining room, guest studio, additional bedrooms, a floor-to-ceiling library, and separate quarters for all your various live-in staff.